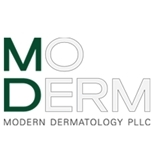 Modern Dermatology (New York) - Book Appointment Online! Two appointments so far, and zero wait both times. Out-of-pocket rates that aren't out of reach. Never before has a dermatologist spent more than thirty seconds talking to me about my skin, medical history, insurance situation and budget for prescriptions. Empathetic, personable and practical. I wish I'd found Dr. Frew's office years ago.